BART opened canopies today over an entrance at its Civic Center station and over the Powell Street Station entrance at Ellis and Market. “This is the future–safe entrances, new trains, elevator attendants, homeless outreach, and new substations so we can move trains more rapidly,” said Bevan Dufty, BART Board Director for the 9th District, which includes portions of San Francisco, at a ribbon cutting ceremony for one of the canopies, held this morning at Powell Station. The two canopies are part of a “Downtown San Francisco Market Street Canopies and Escalators Modernization Project,” which will also replace 41 escalators at the Embarcadero, Montgomery, Powell and Civic Center stations. The canopies cost about $2.2 million each and are meant to protect escalator mechanisms from the elements. Based on the 19th Street BART station canopies in Oakland, BART officials estimate that escalator breakdowns will be cut by 30 percent. Twenty-two additional canopies will be constructed above all of the remaining street entrances on Market over the next few years. BART is going to pause now and see how things work out with the two pilot designs. “We’ll be keeping a critical eye on the finishes,” explained Luis Paez, Senior Resident Engineer for BART. So far they’ve noticed the fiberglass ceiling on the canopy smudges a bit more easily than they would like. They also want to see how the graffiti- and scratch-resistant coatings hold up on the stainless steel and glass. So far things look good, said Paez, adding that he is especially pleased with how the canopy looks at night. From a distance it seems to be “faintly glowing” he said, making it easy to find the entrance. His hope is the canopy design will become iconic, like with the New York subway entrances with their globe lights or the famous Hector Guimard “Metropolitan” entrances to the Paris Metro. The new canopies also have arrival monitors (see above) so it will no longer be necessary to go into the station to find out when your train is expected. And, as part of the canopy design, there is now a gate at the top of the stairs. Diane ‘Dee’ Malabuyo, whose job includes going down the stairs and opening the station between 3:30 and 4 in the morning, said it will make opening the station less harrowing. “It’s scary to come down the stairs… there are a lot of people on the stairway,” she explained. The canopy also has security cameras with real time feeds. 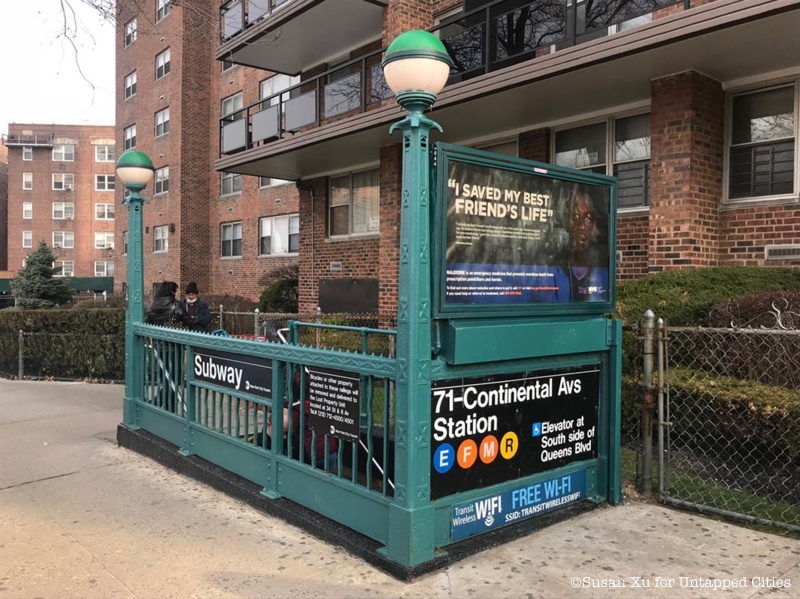 The contract for the remaining canopies, meanwhile, is expected to be awarded early next year and will come to $55 million. Funding sources include Prop. 1B, Measure RR, and SFMTA. SFMTA, which of course shares the stations, is contributing $30 million from San Francisco Prop. A funds. Construction of the remaining canopies should be finished in 2025 and all escalators will be replaced and upgraded by 2027. YES! I have never understood why they were uncovered to begin with. The arrival monitors are a good addition, too. Having the gate at the top also means that we won’t have people going to the bottom in the middle of the night to take a dump. 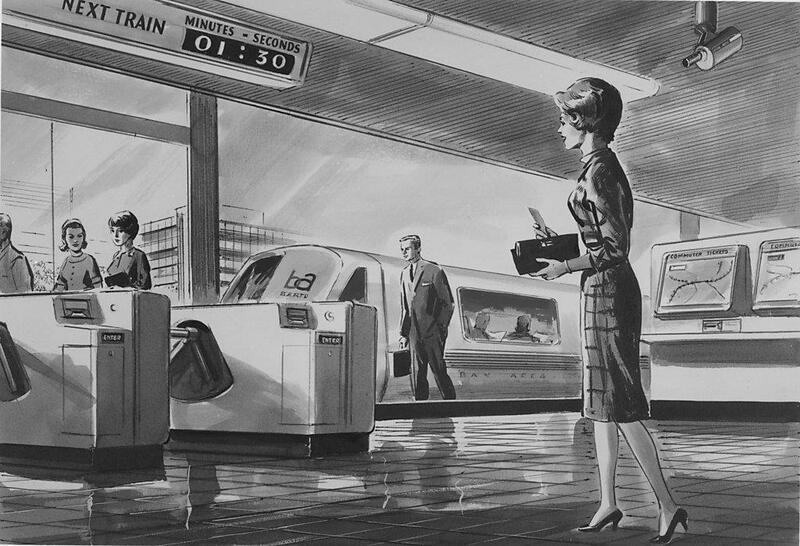 BART’s been around for nearly 50 years and they never bothered to put roof over peoples heads…. That was kinda the whole point. SFMTA’s own data (https://www.sfmta.com/sites/default/files/reports-and-documents/2018/10/10-24-18_emsc_item_7_cis_slide_presentation.pdf see page 6) says that only 14% of people are willing to wait that long (it’s down to 8% if they have to make a transfer). But at least they can walk past a fancy new canopy while they decide Muni is unreliable and call an Uber. Hopefully these do not push the entrances any closer to the street – we may need as much space as we can get for protected bike lanes on Market. And it’s great the monitors include not only BART and Muni but also Samtrans and Golden Gate Transit arrival times, too (and, late at night, AC Transit arrival times presumably too). I hope the SFFD has signed off on these. Structures are dangerous! How many tens of thousands of people will enter and exit the stations under these canopies? How many pedestrians will walk alongside them and bang up against them? How many cars will drive past them, or crash into them? Public works are subject to stringent requirements because they are supposed to last, and they affect the lives of many people. This thing houses electronic screens that take data from the internet and it needs to be future-compatible (as I dearly hope it is). This isn’t a shed you put in your back yard. These canopies are way too plain to ever become an icon, but they’re a nice addition to the Market Street entrances. I’m not averse to spending on public works, but the amount SF and the US in general spend on buildings, and the amount and quality they get back in return, are waaaay out of whack. That’s because of our balmy California weather. Who needs em? Canopies are a no brainer and should have been installed when the system was built, but come on…2025 before they are all installed? LA will see the westside subway extension open before we get a handful of freakin’ canopies. I agree. $2.2M seems crazy for one canopy. True but the Squirrel has a point. Doesn’t $2,200,000 for this seem a little high to you? I admit it seems high, but I am not a construction contractor. Building in public areas where you have an obligation to keep the public safe, and probably without the ability to shut down the street adjacent to your site, makes this a hard job. As an outsider to this contract, I think we’d still be hearing cries of overspending if these things cost $220,000 each. The contractor is going to be the first in line to remedy any problems that are discovered with these canopies during the next ten years (statute of repose for construction defect claims in California) – it’ll be up to the installation contractor to prove if the problems are attributed to design or manufacturing. OMG do you not understand that the entrances themselves aren’t being moved or altered? It’s just putting a protective barrier above to keep the rain out and reduce wear and tear on the escalators. Nothing iconic about these canopies or the Muni/BART signage. $2.2M per canopy is ridiculous. Not only are your points correct but I’m also not surprised that BART still never thought it was a good idea to have both express and local tracks. The double subway underneath Market’s very flawed in that both the BART and Muni subways only have 1 track going in each direction instead of a dedicated track for local trains and a dedicated track for express trains. That way there’d be 24 hr subway operation for both subways, because when the overhead wires/3rd rail, tracks/ etc need maintenance, the express tracks could be checked on, followed by the local tracks, for instance. It’s sad that there’ll never be a 24 hr subway in San Francisco because both subways only have 2 tracks in each direction in each subway. The engineers really should’ve put express tracks in both subways so that way today capacity would at least be less of an issue than it currently is. I’m all for the very long overdue canopies but am wondering why the article doesn’t mention any canopies being built for stations like 12th st station, the rest of the downtown Berkeley station and the rest of 19th st station, for example. To me it makes sense for canopies to be built there for the same reasons they’re being built in downtown San Francisco. simple it is). Where is the other $1.2M/canopy going? Those side walls they are adding could be wider than the previous side walls. Look at some of the promos from the 60s…well dressed folks riding in comfortable cloth seats to their 7×7 destination. No standing. No resemblance to the subways of yore. The system was flawed before a shovel of dirt was overturned. Express tracks? We can’t even get pocket tracks/sidings. During my ride home last night from Montgomery to Balboa Park I marveled that there were trains coming roughly every 3-4 minutes during that period. How wonderful would it be to get that level of service on a Saturday during the day even just between Daly City and the Embarcadero. Run trains between these stations every 5-7 minutes or so. Then I also realized that BART’s reach in SF has never been expanded. We should have had lines down Geary, Van Ness, North Beach/Wharf, 19th Ave, etc. connecting all parts of our Transit First city easily and quickly. But, we don’t. And we never will. Do us all a big favor…go to the Powell entrance at Stockton and take a look for yourself. Factor in economies of scale for even cheaper canopies. Oh, maybe not. It’s a capital improvement project. It’s a shame BART/Muni never built their subways with 4 tracks so that way they could be in operation for 24 hrs. Yea, you have another point with the failed BART expansion throughout San Francisco. Alongside the Van Ness, Geary, North Beach, 19th ave, etc lines BART also should’ve somehow had a 30th st station between Glen Park and 24th st, not to mention BART actually paying attention to their core service areas and operating trains between Daly City and Embarcadero stations like the example you gave. https://uploads.disquscdn.com/images/58c6045df5d52214e224a04aae85e07e21594b0cac8c256a7930af9244cbf087.jpg I had the same thought about them being too plain. Look at the pic above. You know immediately that’s an NYC subway stop. SF/BART need to figure out some branding.